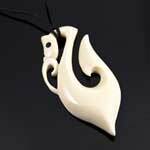 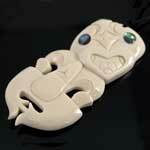 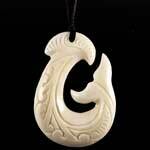 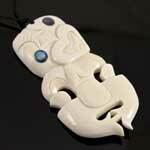 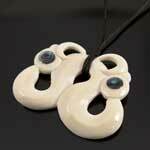 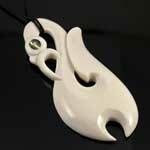 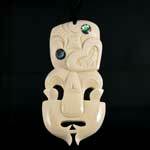 A large hand crafted Hei Tiki bone carving necklace. 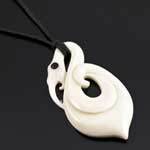 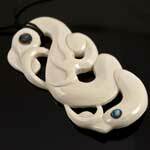 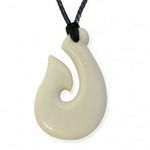 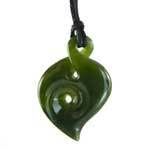 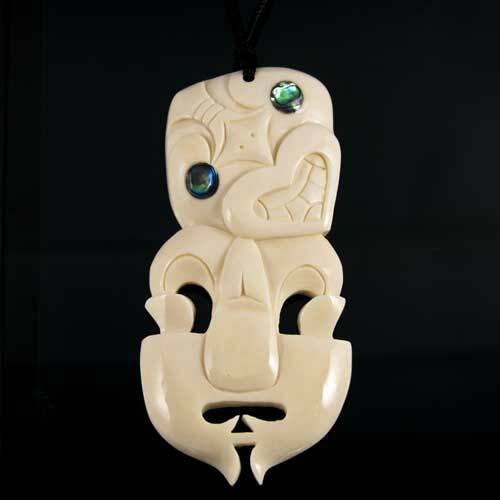 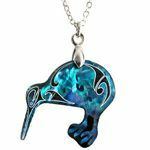 The tiki pendant comes complete with a waxed braid cord and features New Zealand Paua Shell for it's eyes, it also includes a detailed description of the meaning of the carving. 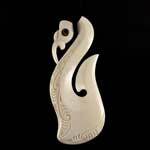 This ancient symbol is considered to be the first man and is the bringer of knowledge, when worn it represents knowledge, strength and clrity. 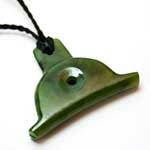 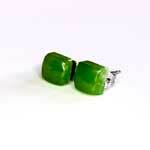 It is known for being a good luck charm and has also been thought of as a fertility portent.